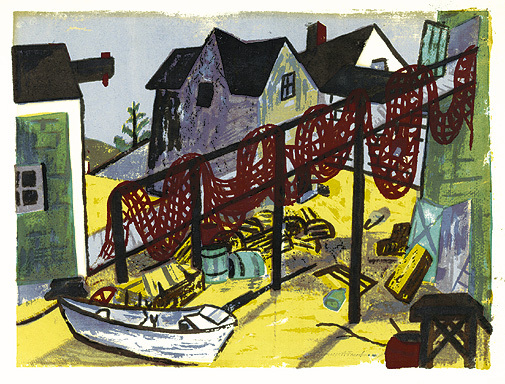 Monhegan Island Paraphenalia- - c.1947, Color Silkscreen. Edition not stated. Signed with the artistØs stamp in the image lower right. Image size 12 1/8 x 16 inches (308 x 407 mm); sheet size 17 x 22 inches (431 x 589 mm). A fine, fresh impression, with full margins (2 1/4 to 3 1/8 inches), on heavy cream wove paper, in excellent condition.